Home » Programming » Zimnat And HIT Hosted A Hackathon. We Need More Of These! Hackathons are not an entirely new thing but in 2018 that Hackathon’s are gaining ground in Zimbabwe. Zimnat came together with HIT to look for solutions that can be implemented in Zimnat‘s insurance business and even though we were not made aware of this hackathon we are still excited that these things are taking place. NetOne recently hosted a Hackathon last month. Hove Group Investments is also going to host an inter-university towards the end of September. Efforts are being put in place to ensure there is a Divathon -a female focused hackathon- in November this year. 1st Placed team– John Sakala, Amen Mushanyuki and Philip Mashingaidze. Each of the members on the team got $400 and shields. 2nd Placed team– Itai Zulu, Susan Chikerema and Augustine Mukumba. Members of this team received $200 each. 3rd & 4th Placed team– The names of the team members were not disclosed but each member of the third and fourth team were awarded $100 and $50. 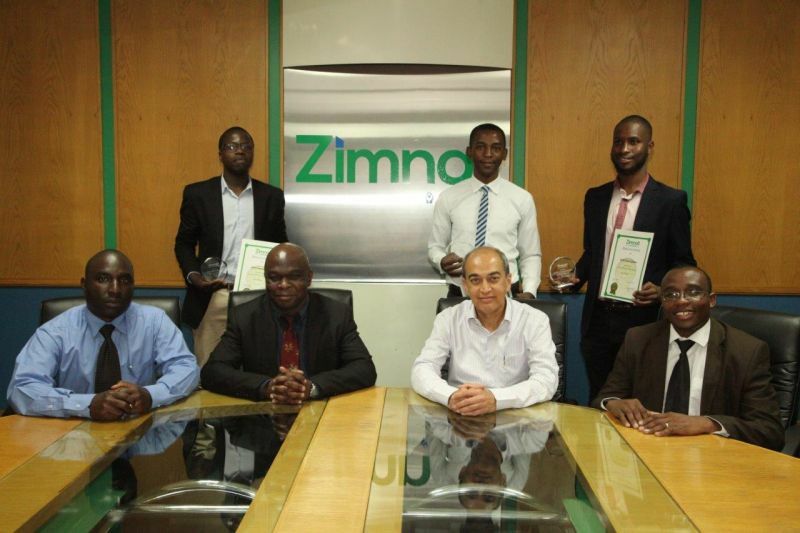 Zimnat’s purpose is about making life better for its clients, stakeholders and the community it operates in. This initiative is meant to give back to the educational community while also looking for solutions to better service our clients. It’s great that these initiatives are picking pace and we hope that Zimnat, HIT and any other institutions also reach out to us for publicity whenever they have such events in future as coverage is equally as important.